It’s a breath of fresh air. It warms you up on cold nights. And it’s very expensive to replace. No, we’re not talking about a spouse. We’re talking about your HVAC system! HVAC systems are a significant investment. And with the right upkeep, they can last for decades without needing replacement. Check out this annual HVAC system maintenance checklist. Read on to learn how you can keep your HVAC system purring with these 4 easy maintenance steps. Inspect your system at least once per season. Look around at the furnace, AC, and ductwork to see if you notice anything strange. Listen to how your furnace and AC sound. Feel around to see if there are any hot spots that need addressing. And take note of strange smells coming from the ducts or from the units themselves. Make a list of all the things you see, smell, touch, and hear. The more you do this, the easier it is for you to spot things that aren’t right. A musty smell could mean there is mold growing in your ductwork. If you see broken or brittle hoses coming out of your furnace, these need to be replaced. And if your AC sounds like it’s struggling, you may need to clean out the area around it to allow more airflow. Now that you’ve given your system a good once-over, it’s time to work on cleaning. Start with cleaning your outside AC unit. First, turn the power off to the unit while you’re working on it. Use a vacuum or shop vac to clear away all the leaves and yard debris that have settled near your AC unit. Take the outer casing off of the unit and brush off any dirt or debris that’s gathered on the fans inside. If you need to, spray a hose inside to get all the gunk out of it. Inside, check the blower unit or the furnace. The evaporator coil is found inside the unit and is cleaned with a soft brush. Also, check drain pipes that drain liquid from the inside unit. If they get clogged, they can stink. So clean these out if they look dirty or if you see that they’re stopped up. Look through both units to check out the pulleys and belts that keep them running. Replace anything that looks worn or cracked. Check out the motor bearings and other moving parts within your heating and cooling units. Lubricate any moving parts including fan blades and motors with engine grease. The furnace uses a filter to clear dust and debris out of the air before it sends it through your home. It’s important to replace that filter at least twice per year. If you live in a really dusty area, consider replacing it more often. If you do find that your filter is really dirty, consider getting your air ducts cleaned by a professional. This is good to do once a year. 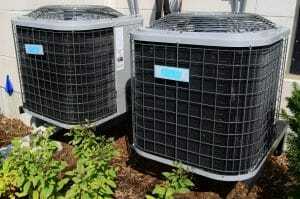 Your last step is to look into upgrades that will make your system more energy efficient. Contact your local HVAC professional to find out about what’s new on the market. It’s worth the investment if it saves you money in the long run. One example is a programmable thermostat. If you don’t have one, invest in one now and program it to change with the seasons. Replace the batteries on this high-tech thermostat at least once a year. 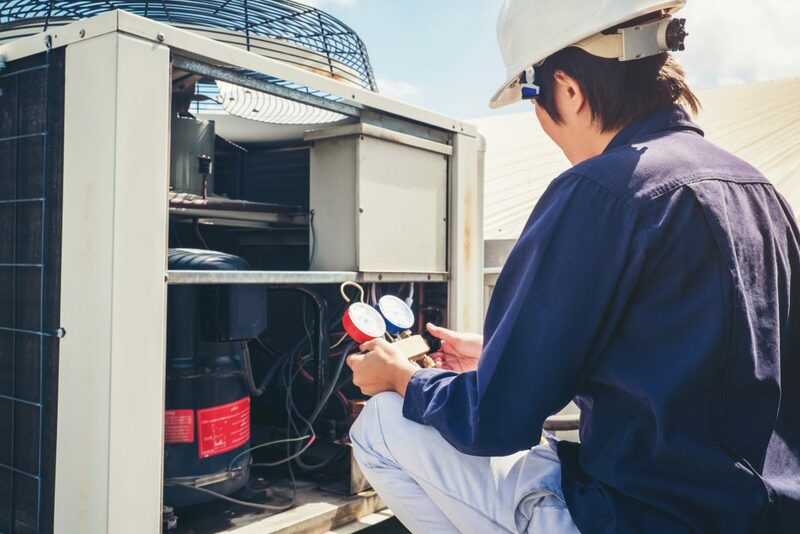 With the right annual HVAC system maintenance checklist, you can keep your system running strong for many years to come. And that’s important if you want to get the most bang for your buck. Remember to inspect everything and clean out what looks dirty and dingy. Then replace any loose or worn parts, including air filters. Finally, upgrade to newer technology whenever possible to keep your system running efficiently. Having troubles with your AC unit? 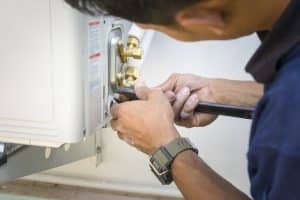 Read this article to find out what NOT to do when your AC is broken.